Approximately 15% of the population is suffering from dizziness, vertigo, imbalance, lightheadedness, giddiness or unsteadiness. Vertigo is the perception of movement without actual movement (illusion of motion). Most commonly it is the sensation of spinning (either the room spinning or the person spinning). But it can be the sensation lateral movement, swaying or tilting, too. Vertigo is a type of dizziness. However, dizziness could also include other symptoms which not necessarily come with the feeling of spinning, such as imbalance, lightheadedness, giddiness and unsteadiness. Vertigo is a symptom, not a diagnosis. Meaning that vertigo can be caused by a wide range of diseases; from harmless to life threatening. In this article we focus on the most common neurological diseases. Most commonly patients will experience the feeling of dizziness, vertigo, imbalance, lightheadedness, giddiness or unsteadiness. Moreover postural instability and feeling of falling or actual falling. Patients often need to sit or lie down and are suffering from nausea or vomiting. Ataxia (walking difficulties) and nystagmus (eye movements) could be present. Depending on the underlying cause the following symptoms could be present: hearing loss, tinnitus, ear pressure, visual problems. Moreover numbness of the skin, muscular weakness, coordination problems, speech or language difficulties, difficulty swallowing. 5. 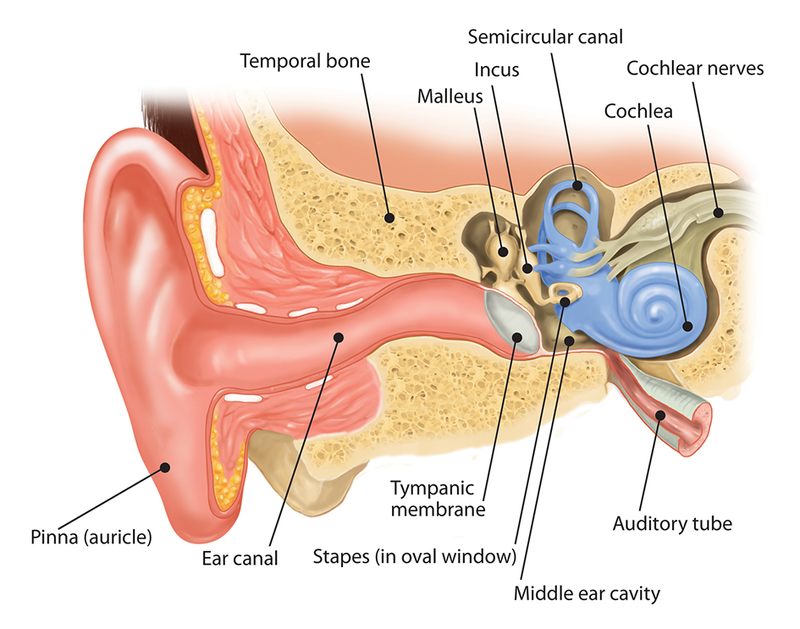 Labyrinthitis: An inflammation of the inner ear structure called the labyrinth, caused by untreated bacterial infections of the middle ear. It can also cause loss of hearing. 6. Head trauma: A violent blow on the head can cause damage to the inner ear. 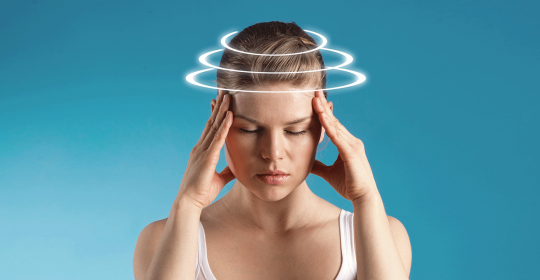 This may lead to balance problems like Vertigo or Dizziness, temporary or permanent. 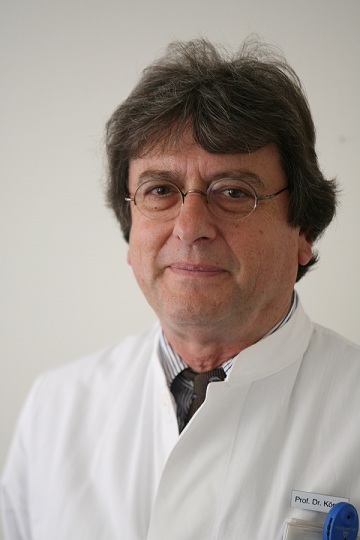 After having spent one year of research in the USA, he continued his medical education at the University Hospitals Mannheim and Heidelberg and went on to work as Deputy Head at the Neurological Hospital in Erlangen.From 1987 until 2010, Professor Koempf held the position as Director of the Neurological University Hospital of Luebeck, Germany where he worked as a Senior Consultant for Neurology, held lectures and taught students. In 2010 he was elected as General Secretary to the EFNS (European Federation of Neurological Societies) where he organizes large neurological conventions and further education for neurologists in Eastern Countries such as Russia, Belarus, Ukraine, Moldavia and others. Aim of these efforts is to standardize neurological diagnostics and treatment in Europe.In 1998, Professor Koempf wrote an important book on the topic of “Clinical Neuro-Ophthalmology”, vertigo and visual problems which was published by the renowned Thieme Publishers. He also deals with all “Diseases of the Cranial Nerves” on which he also published a book in 2006.Since finishing his Univerity career, Professor Koempf has been seeing patients in his private clinic in Luebeck and spends some months in Mallorca, Spain, in a Vertigo Center which he founded at Juaneda Hospital. During his active time as Director of the Neurological Hospital at Luebeck University, Professor Koempf dealt with the whole range of neurological diseases including Parkinson’s disease, Epilepsy, Multiple Sclerosis, Cerebral circulatory disorders, stroke prophylaxis, disturbances of the memory, dementia, headaches, migraine, polyneuropathies, restles legs syndrome, back pain and diseases if the discs.But above all, he concentrated on the numerous kinds of vertigo (of which there are about 50) as well as vision disorders or disturbances of the equilibrium. Vertigo itself is just a very general term which does not mean anything specific. One must differentiate between specific vertigo meaning everything is spinning and unspecific vertigo which may mean short loss of vision, dizziness or disturbed equilibrium.The problem always is to find the underlying cause because very often the cause of very strong symptoms may be quite harmless whereas a slight symptomatology may indeed have a dangerous cause. In the latter case, a fast course of diagnostics is of the utmost importance in order to prevent for instance a stroke. The whole range vertigo lies between these two poles.The most important issue when dealing with vertigo symptoms is the medical history and the correct analysis of the symptoms. At the beginning of this procedure there will be a thorough neurological examination with a focus on the eye movements. From time to time it will be necessary to carry out a psychiatric exploration as well because vertigo can be due to psychic problems. Following this will be neurophysiological investigations such as EEG, VEP, AEP or others and the DUPLEX ultrasound examination of the cranial arteries and a combined cooperation with an ENT doctor, an ophthalmologist, maybe an orthopedist and a qualified laboratory. Despite his being in Dubai only recently, Professor Koempf realized that all services he needs for his highly specialized work are available in Dubai, predominantly offered by German colleagues such as ophthalmology, ENT, orthopedics, cardiology and laboratory. This makes diagnostics and treatment easier since they all follow the same high German standards and uncomplicated communication between them allows secured results. Professor Koempf is devoting some of his time at the moment to meeting and getting to know these colleagues in order to guarantee best results for his patients. As main problems in this region, Professor Koempf notices so far the often faulty medicinal treatment of patients suffering from Parkinson’s disease or epilepsy, missing preventative measures for stroke and other diseases of the vessels as well as pain therapy regarding the numerous kinds of headaches or polyneuropathy caused by diabetes. Above all he is concerned about people suffering from dizziness and vertigo which is one of the most prevalent complaints presented in a neurological clinic and not to be underestimated regarding the possibly underlying serious causes.Professor Koempf will continue to inform us about the topic of vertigo on this site. Saturday – Wednesday: 9am to 8pm Thursday: 9am – 7pm JLT Jumeirah Lake Towers, Cluster I, Platinum Tower 2806 Right side: 3hrs free parking Left side: all day free parking DHCC Dubai Healthcare City, Bld.